Drawing from the wave spreading across the west, India’s Women and Child Development Minister Maneka Gandhi, in a meeting of a group of members, has advocated for the legalisation of medical cannabis in India. “…marijuana should be legalised for medical purposes, especially as it serves a purpose in cancer (treatment),” Gandhi told PTI. She also said “(In) some of the developed countries like the US, marijuana has been legalised, which ultimately results in less drug abuse,” and “The possibility of the same may be explored in India.” But what if we told you that medical use of cannabis cannot be legalised in India simply because it is already legal? So, can you get a license and consume cannabis for medicinal use only? Nope. This is where it all gets tricky. While the use of medical cannabis, or any narcotic for that matter, is technically legal, its cultivation is regulated depending upon satisfying the scientific conditions mandated by the respective state Government (i.e. max limit of THC, security measures for cultivation, etc). The growth of non-industrial cannabis is illegal. So if the source itself is deemed unlawful, the legality of consumption is deemed irrelevant, explains Tripti Tandon, Deputy Director at Lawyers Collective. The Act provides that each state of India is allowed to make their own rules and regulations as far as this is concerned, but no state has done so in fear of being at odds with the centre. All in all, it is a practical deadlock. As it stands, the consumption, production and distribution of cannabis is controlled by the NDPS Act of 1985 wherein consumption of cannabis could lead to a jail term of six months or a fine of Rs. 10,000 and illegal production and cultivation can be punished with a jail term of up to 10 years as stated in this report. Whether you grow one plant or acres worth, the sentence could be the same. However, cannabis has long since been a part of Indian medicine and tradition. Extracts of cannabis have been used in ayurveda, homeopathy and all forms of indigenous medicinal tradition - a well known fact. Cannabis was only considered illegal in India in the 80’s, largely due to pressure from the Reagan administration. First things first, states need to formulate rules that allow for safe, regulated cultivation of cannabis. Each state can either cultivate it itself, or call farmers to obtain a license after thorough background checks, and license the cultivation to them while providing for access to standard & registered cannabis seed varieties. This can start out on a small scale - the pilot to a grand experiment, if you will. For this to happen, states need to recognise and identify the medicinal benefits of cannabis. Most people cite Uttarakhand as an example of a state that has legalised the cultivation of marijuana. The difference is that the cultivation is of industrial grade cannabis wherein the THC levels are less than 0.3 %, says Avnish Pandya, co-founder of Boheco. What needs to happen is the legal cultivation of medical grade cannabis, and the distribution of licenses to research institutes who can look into medical cultivation & its application further. Once standardised cultivation is achieved, and tested for cannabinoid content, only then can we consider the legal distribution of medical cannabis. There are myriad reasons to consider allowing for the legal cultivation of medical grade cannabis. For one, a number of research institutes and doctors would be able to obtain licenses to conduct studies on different strains of cannabis, THC, CBD, CBN levels of these strains, and actually have a database of primary research on the medical benefits of cannabis. 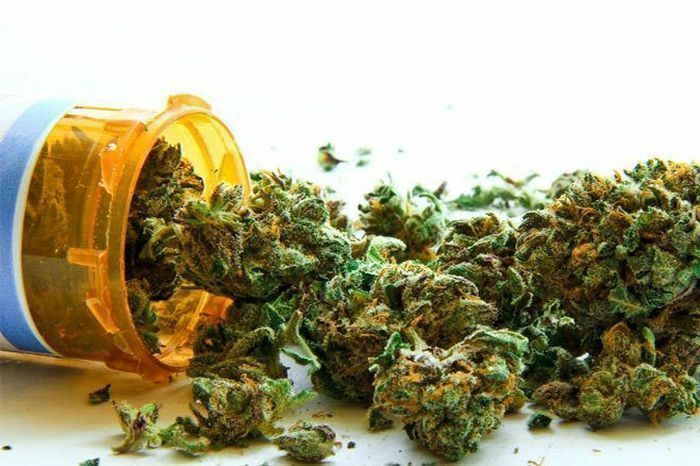 Numerous studies in the west have shown the medicinal effects of cannabis when used on patients with, epilepsy, chronic panic, multiple sclerosis and of course, combating the side effects of chemotherapy. Studies like these can identify medicinal properties of indigenous strains, and find ways to administer low psychotropic levels to treat children even. Additionally, small scale farmers, for whom cannabis cultivation has been a way of life for generations stand to gain from fair prices, and safety from black-market transactions. Needless to say, all the money that is going directly into the black-market can be converted into taxable revenue without having to impose higher taxes on payers. Legalisation also makes sense in the Indian context because it allows the government control of the distribution. “We are one of the few countries with an existing system of marijuana regulation that we can tap into i.e. the licensing system used for Bhang. Bhang is perfectly legal because the NDPS Act explicitly states that the “seeds and leaves” of the cannabis plant are not considered “cannabis hemp”.” says Suchitra Rajagopalan from the Drug Policy Alliance. Individual states purchase bhang from government warehouses which is then sold at licensed stores. A similar system can be mandated for medical cannabis. There is, of course, another side to all of this and it is important to assess the situation at large before we progress. For cannabis to be of medicinal grade, there need to be regulations and a standard process in place that can determine the nature of the crop, and the medical efficacy of it. This requires stringent implementation from the side of the government to ensure that the right crop with the right cannabinoid percentages are being grown that can actually be of medicinal use. This would take a significant amount of time, discretion and lawfulness on the part of the Indian government. More importantly, a point of worry is the “risk of diversion” as Avnish calls it. This is when the crop cultivated for medicinal use gets diverted into the black market. In order to curtail this, the government will have to track yields of every farmer and ensure that there is no pilferage - this will prove difficult for a number of reasons. Lastly, the legal cultivation of the crop would open the doors to big pharmas and companies coming in with a keen interest, and the livelihood of small farmers may well be at stake, as medicinal cannabis growth would require stricter processes - it isn’t all just grown in the wild as one would imagine. These companies will have significant funds to ensure standardised cultivation and testing - something small scale farmers cannot afford. To sum it all up, we have a long, long way to go before the legalisation of medical cannabis in India can or will be realised practically. State governments have to act boldly, and recognise the value of the medicinal properties of this traditional plant, and make way for its legal cultivation. Thank you Avnish Pandya, Jahan Jamas and Trupti Tandon, whose contribution was crucial to the articulation of these arguments.